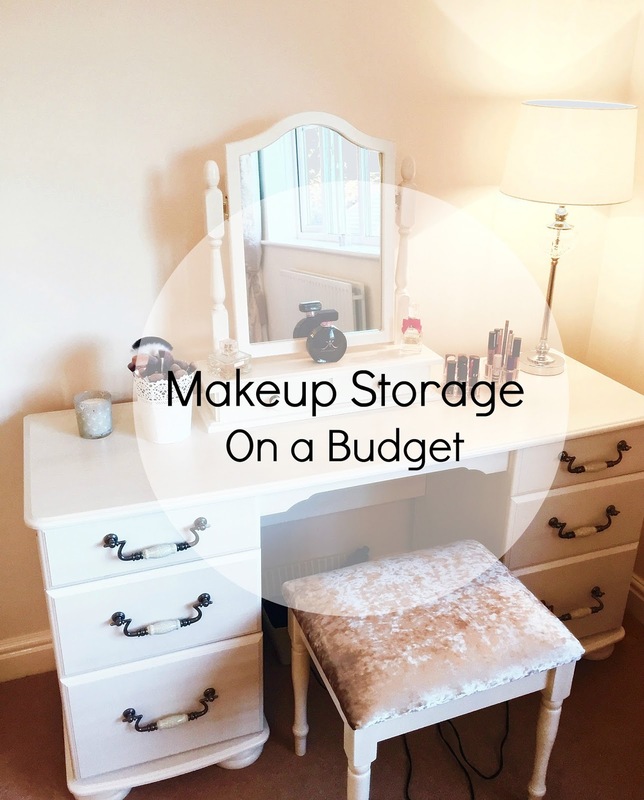 Hi everyone, Today I thought I would share with you a couple of affordable storage ideas that I use to store my makeup in. I love storing my makeup away neatly as it's so much easier and quicker to be able to just reach for something rather than having to rummage though your makeup bag when you're in a rush. I use this white lace pot (which is actually a plant pot!) from Ikea, to store my makeup brushes in. The pot is a part of Ikea's 'SKURAR' series (shop here). I bought this for only £2. Most of my brushes are by 'Real Techniques', but there's some Mac, No7 and a few I got from eBay in there as well. Let me know in the comments if you'd be interested in a post just on my make-up brushes! This acrylic lipstick storage holder is from Tiger. From what I can remember, I think this was around £3. This acrylic lipstick storage holder is from Poundland, and to state the obvious, it was a pound. I separate a couple of my dressing table drawers using the 'SKUBB' boxes from Ikea (shop here). The boxes come in a set of 6 and contain different sizes. I got these boxes for £5, which I think is great as they are multi-purpose and they help me to organise my makeup easily, and keep my drawers neat and tidy. I have one box for eyeshadows and powers etc, as you can see the picture above, and then a few square ones for other bits and bobs. These boxes also fit nice and neatly in my drawers. 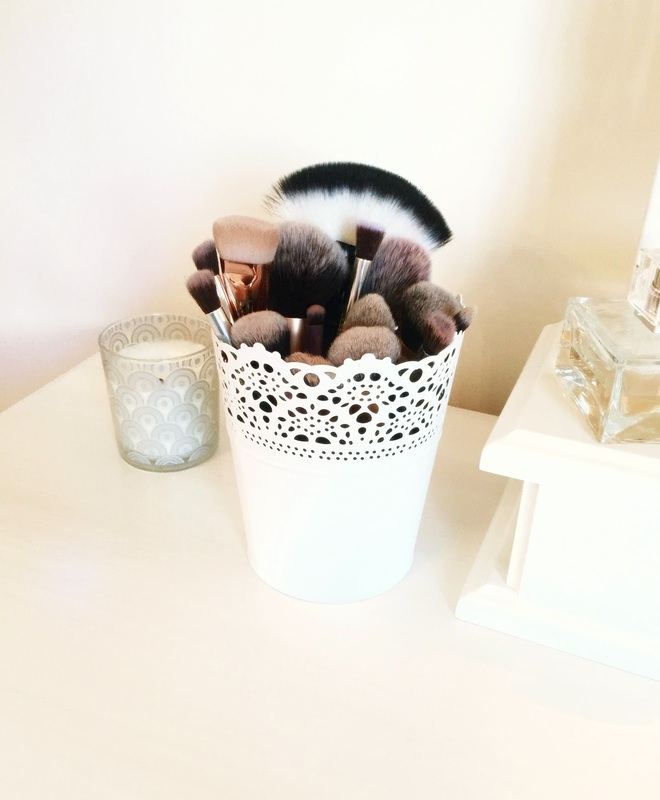 Let me know what your favourite shops are for makeup and cosmetic storage in the comments!